Florida is the most dangerous state for bicyclists according to a new report released by the Centers for Disease Control and Prevention (CDC). The CDC report released in August found that Florida not only has the highest rate of bicycling-related deaths, but the state’s fatality rate for bicyclists is also more than double the national average. The danger for bicyclists, however, is not just limited to Florida. Bike safety continues to be an issue nationwide. According to the CDC, bicyclists die on U.S. roads at a rate double that of motor vehicle occupants – even though bicycle travel accounts for only about 1 percent of trips across all modes of transportation. So how is Florida tackling the issue? 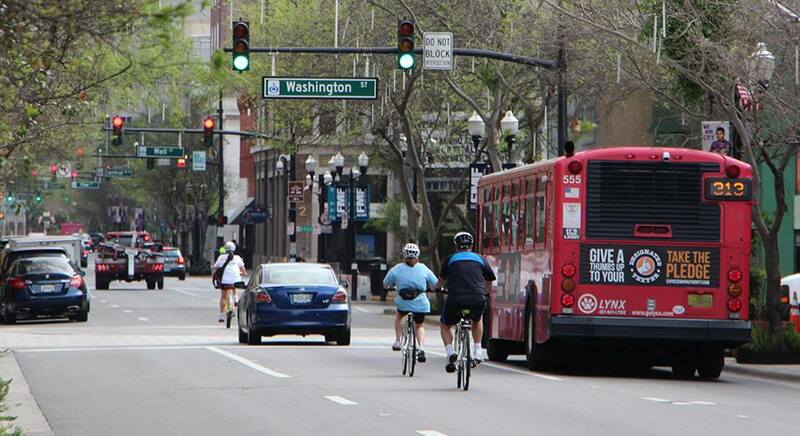 The Florida Department of Transportation (FDOT) developed a statewide Pedestrian and Bicycle Strategic Safety Plan in 2013 and also adopted a Complete Streets policy last year. BWCF’s board chair Billy Hattaway will present on FDOT’s Complete Streets standards at Bike Florida’s upcoming Celebration of Cycling event in Clermont on Nov. 13. Bike/Walk Central Florida also continues to advocate for bike-friendly policies and infrastructure improvements locally. Remember bike safety begins with you. Educate yourself on bike laws and the rules of the road. Take a bike safety class (we recommend CyclingSavvy). Always wear a helmet and reflective gear. Use front and rear lights when riding in low-light conditions. Map out your bike trip beforehand to determine which routes you are most comfortable with. Be visible, assertive and always on the lookout. If you are operating a motor vehicle, be mindful of bicyclists around you riding on the street, in a bike lane, or on a sidewalk or trail. Let’s all share the road and work to make our streets safer for everyone.